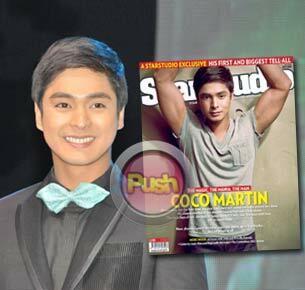 Coco Martin bares his life story in StarStudio and shares how he succeeded in show business after many failed attempts. In spite of his interest in entering show business, Coco’s grandmother urged him to finish his studies first. Coco actually graduated. Unbeknownst to a lot of people, he earned a college degree in Hotel and Restaurant Management. Grab a copy of StarStudio July issue and discover more about Coco’s unforgettable experiences in life which proved beneficial in honing his acting and made him a multi-awarded dramatic actor.